Organized in 1869, this is the oldest African-American church congregation in lower Bryan County. 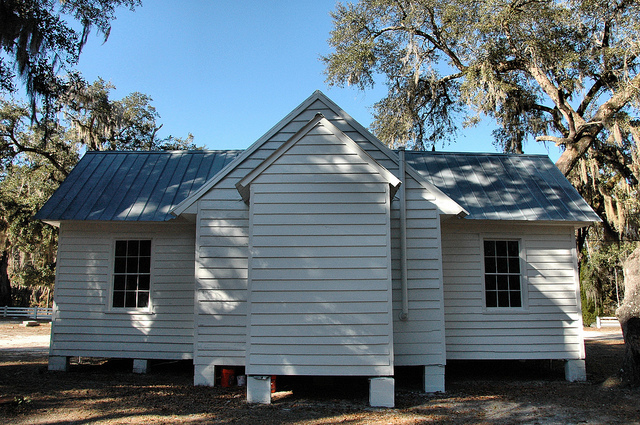 The first structure for the church, a Prayer House, was built in 1870 on this site near the white Presbyterian Church (Burnt Church). London Harris, a freedman and spiritual leader of the local black community, was one of the organizers and first pastors for this church. 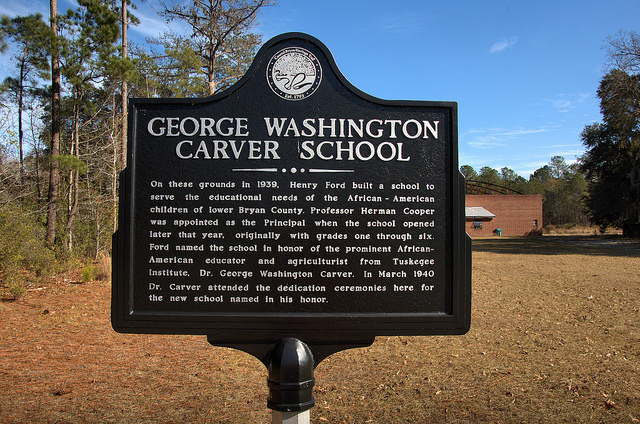 The church was renovated and enlarged with support from Henry Ford at the time the nearby Carver school was built in 1939. 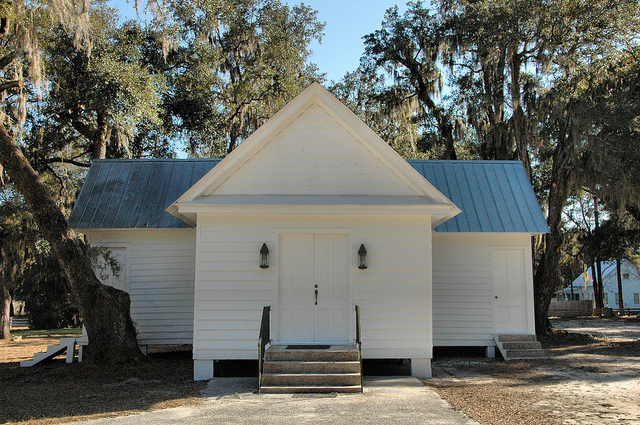 This congregation was first organized around 1830 by prominent Bryan Neck rice planters including Thomas Savage Clay, Richard James Arnold, and George Washington McCallister. The first church building was constructed three miles from this location in 1839. Its adjoining burial ground is now known as Burnt Church Cemetery. 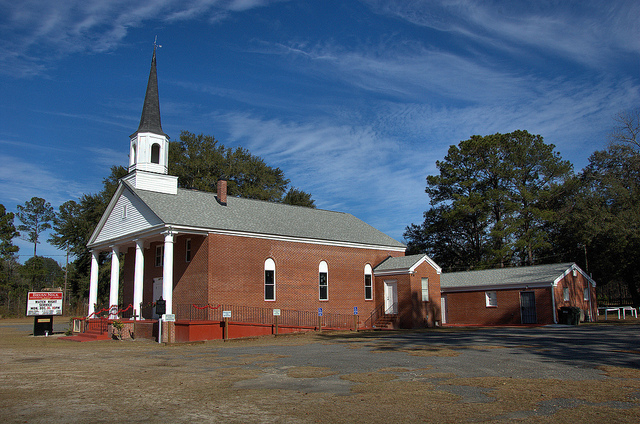 The present church, built in 1885, is the oldest public building in Bryan County. UPDATE: I made the images seen above in 2011. Visiting in January 2013, I rephotographed it and noticed a sign had been placed on the front of the building (below).